Rewardical is a great program because it helps both consumers and businesses. For consumers, Rewardicals are the new digital tokens that you can earn free. You could earn these tokens in different methods such as shopping at malls or online stores, dining at local restaurants and playing online games and contests. Then, you could exchange these Rewardical tokens into different amazing products or goodies such as Bitcoin,VersaPoints, Silver Bullion, Gift Cards, TCredits and more! 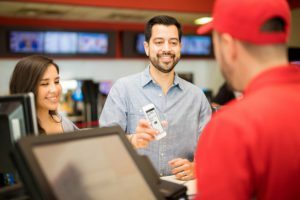 For businesses, Rewardical is an innovative program that allows your customers to receive digital reward tokens that can be exchanged for a variety of valuable items. It is all free; you don’t need to pay any money. Besides, it is the cheapest advertising method to attract new customers for your business and encourage them to come back again and again. Localvantia is a new program for SFI affiliates. It allows them to earn unlimited VersaPoints by simply shopping at their favorite local merchants. In this way, you can earn VersaPoints and achieve a rank each month by simply buying your groceries, fueling up your car, or dining at your favorite restaurants! Localvantia is designed by its sister company SFI to cover essentially ALL merchants with products and services consumed locally. What is Localvantia purchase claim and how to do it? If you do shopping in one of these merchants shops or you have just enjoyed a fine meal with your family at your favorite local restaurant. You pay for your meal and get a paper receipt. Upon leaving the restaurant, log in at you account at localvantia.com, open the merchant’s profile page, and click the “Verify Purchase” button. Choose the “UPLOAD A RECEIPT” option. Upload a copy of the receipt to prove your purchase and complete the rest of the simple Rewards Claim form. 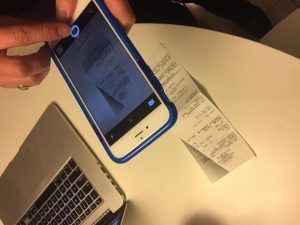 The easiest way is to take a picture of the receipt with your smartphone. The merchant will receive an invoice for the cost of the Rewardicals due you for your purchase. As soon as the merchant confirms your purchase and the invoice is paid, you’ll receive your Rewardicals. One day, you finish eating in a Restaurant or you complete shopping at your favorite local grocery store. Before entering the checkout lane, log in on your phone, open the merchant’s profile page, and click the “Verify Purchase” button. Choose the “VERIFY IN STORE” option. The cashier tells you of the total cost of the shopping and you pay for them as you would normally. Give your phone to the cashier. The cashier will add the sum of your purchase and the merchant’s payment confirmation code number. The merchant will be sent an invoice for the cost of the Rewardicals due you for your purchase. When the invoice is paid, you’ll receive your Rewardicals. On the other hand, merchants can choose to set up their account with Auto-Reward. If Auto-Reward is available, you’ll receive your Rewardicals immediately and even before you leave the place! TripleClicks.com is the store of SFI Marketing Group. One important section of TripleClicks is Daily Crown. You could play games and get Rewardicals. 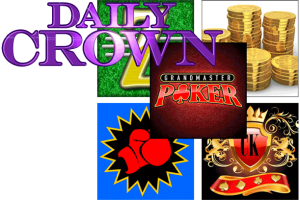 The DailyCrown at TripleClicks.com awards 35,000 Rewardicals to 285 lucky winners each day. You can echange these Rewardicals you won into into different amazing products or goodies such as Bitcoin,VersaPoints, Silver Bullion, Gift Cards, TCredits and more! You don’t need to pay any money. You could play any Eager Zebra Game for free and enter the drawing. There are many games such as Knockout Trivia, Zackjack, Gold Streak or Grandmaster Poker.Winners are chosen randomly. The Maximum of winning is one win per day, and a maximum of ten wins in any 30-day period. You could also earn free Rewardicals if you shop online at these two places: TripleClicks.com and Rewardical.com. They include hundred of online stores in which there are many goods such as apparel, Arts & Crafts, Health & Wellness, Home & Garden, Jewelry, Personal Care & Beauty, Toys and Kids & Baby. You could shop at my store there and gain Rewardicals; Almas Corner. This is something I have not heard about before but sounds interesting. I am looking for ways to become financially independent in the future so I will check this out. This is a new royalty program. It was established the end of 2017. It is founded by Gery Carson, the owner of SFI Marketing Group. I have been working with them for nearly five years so I trust their work.. What special about this program is that you own free rewardicals while shopping online or in local merchants who registered in Localvantia, the twin sister of Rewardical program.. So read more about it and join me there.. Wishing you all the best! Wow, I think that this new royalty program is so good! It seems I should try this opportunity since its free and can benefit me when I buy something at both local and online markets! I have a question: Is there a limit for earning those prizes such as bitcoin and gift cards? Thanks a lot for your nice comment. Yes. this is one of the best royalty programs because it enables you to get free Rewardicals when shopping online or shopping in local stores. Regarding your question, yes there is no limit in earning these Rewardicals but there is a specific limit in changing them into Bitcoins or gift cards. Every 607 Rewardicals equal one dollar when changing to Bitcoin.. The minimum change equals 25 dollars. Hey there, it looks a great program. it is the first time I hear of it.. I will read more reviews about it and then decide to join it.. Thank you! Thanks Mohammad for your nice comment.. If you need any help in this program, I would love to help! I have never heard of this royalty program before but it sounds really good. I will definitely look into it now after reading this post. There are many ways of ways of getting rewardicals which is good.